Unfortunately to many of us take for granted everything our military and first responders do to keep us safe. Take a moment to give thanks for everything they do. This year we not only want to honor them but also give back to the community. After thorough research we have selected a charity for veterans for us to donate to as a company every year. We are also encouraging our staff to go out and volunteer some of their time for a good cause helping out veterans. 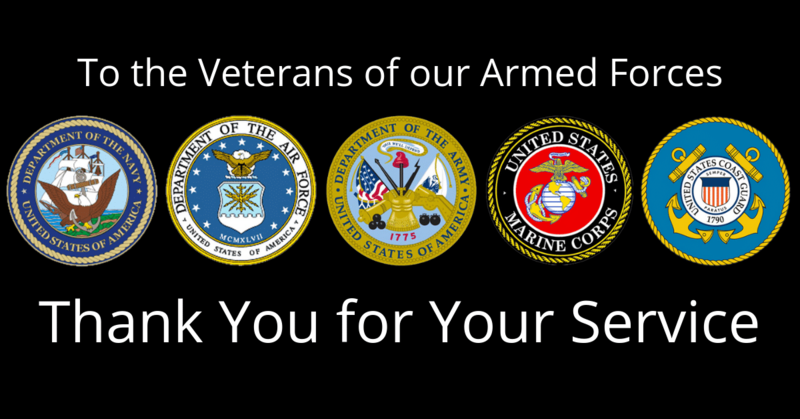 Also from this day forward we will establish a 5% coupon off for all active and retired military.